Regiment: Fife and Forfar Yeomanry. Born: 19 June 1897 Winton Drive, Glasgow. Buried: Jerusalem War Cemetery, Israel. 1901 Census: 9 Winton Drive, Kelvinside, Glasgow. 1911 Census: 9 Winton Drive, Kelvinside, Glasgow. 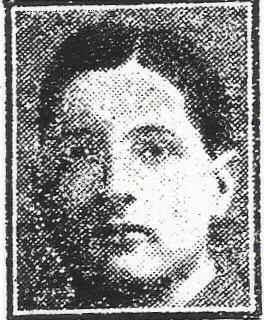 Kirkintilloch Herald mention 9 January 1918. Evening Times Roll of Honour mention 11 July 1918. William Johnstone had been a student at Glasgow University, Arts Faculty and is commemorated on War Memorials in Kelvinside Academy, Glasgow University Chapel, Amisfield (Dumfriesshire) and a family stone in St Andrew's East Cemetery, Fife.